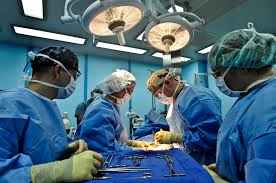 Undergoing surgery is the ultimate stressful lifetime event. The physical battering, combined with the time spent in the unfamiliar environment of the hospital and the worrying before the procedure easily ratchet up a person’s stress level. But the surgery i s just the beginning. As soon as the stitches are tied and the patient is returned to the room, recovery begins. For many patients, the road to recovery is not a smooth one, made rougher by post-surgical pain. The American Pain Society has recently published its own set of clinical practice guidelines, to be used for treatment of post-surgical pain control. The publication’s lead author was Dr. Roger Chou. Post-surgical pain management faces a few obstacles including communication issues regarding the patient’s perceived severity of pain and the physician’s understanding of the pain levels, staffing issues in recovery settings which can impede proper monitoring of pain levels, and the use of opioids in the general population. Opioid users often develop a strong tolerance to pain medication and are not as responsive as other members of the public to a typical pain regimen. Among the strong evidence recommendations are the use of acetaminophen (Tylenol) as well as other non-steroidal anti-inflammatory medications for pain relief for nearly all patients as well as site-specific pain treatment (local anesthesia). The study also recommends that every hospital and surgery center retain a qualified pain specialist on staff. The study also deals with the administration of pain medications, including opioids, recommending that they be given orally and not intravenously, if possible. Furthermore, the study recommends that all patients be individually counseled regarding pain relief during recovery, taking into account their current use of all pain-relief medications and procedures. Surgery is already tough enough. It’s important for health care teams to be “on the cutting edge” of post-surgical recovery and pain abatement. We know that the damage caused by pain can be felt physically and emotionally. Common words and phrases used in medical and patient community descriptions and discussions describe both sensory experiences related to nerve function as well as psychological/emotional pain processing. Some of these words might seem familiar, perhaps. 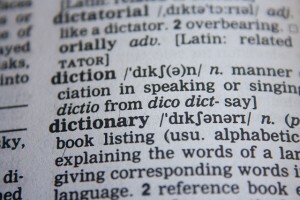 Other words are likely to be less familiar and even bordering on “medical-ese”. If you encounter a word or term you are not familiar with during the course of your pain care journey, let your health care provider know. If you are looking for further understanding regarding any of these common words, perhaps some of the links next to each word might be of further assistance until you have a chance for questions and answers at your next appointment. For more information on terminology, research trends, and pain treatment options, The International Association for the Study of Pain is a worldwide leader in pain management advocacy and education. Bringing “together scientists, clinicians, health-care providers, and policymakers to stimulate and support the study of pain and to translate that knowledge into improved pain relief worldwide”, they offer a wealth of resources. Is Your Acute Pain Taken Seriously? When you experience a true health care emergency, you want to feel confident that your health care providers hear what you are saying about your pain, assess your level of pain appropriately and make decisions to alleviate your pain in a timely and effective manner. There are common barriers to communicating your pain. These include difficulties communicating the nature and severity of pain, biases in the health community regarding the aged and chronically ill and undertreatment of women’s pain. This can mean a number of things. It can be as basic as poor communication with hospital personnel during a crisis due to language barriers or debilitating pain that restricts communication. It can also include crossed signals regarding how severe pain really is or an inability to describe the exact nature of the location of the pain. Patients should be honest about how much pain they are feeling. If you are asked to rate your pain in between one and ten and you are feeling pain, always say five or more. Patients should not try to be stoic or heroic about pain levels. 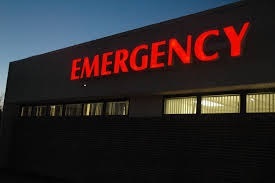 Furthermore, if you feel that you have been assessed inappropriately during an emergency room triage (which rank patients’ conditions from needing urgent treatment to those who can wait), ask to be reassessed. Assertively. Women’s pain is notoriously undertreated in emergency rooms. Unfortunately, the aged and those who suffer from chronic health conditions are often the recipients of kind words, but treatment that borders on medical neglect. Doctors and nurses tend to discount “frequent flyers” at their institutions and can possibly ignore a serious incident. Again, their companions needs to advocate on their behalf and ensure that staff understands that “this time feels different”. Appropriate timely treatment for pain requires effective two-way communication between patients and emergency room personnel. Know the rules of your insurance provider. Be sure you have to up-to-date knowledge of your physicians’ and hospital networks, your out of pocket deductible, the dates of your plan and your co-pays for doctors, lab work, screening, emergency room and urgent care visits. Be sure your doctor and you are on the same page regarding costs. Make sure that your doctor understands that you are trying to save money, so that prescribed medication is not cost-prohibitive. Do your homework. If you have a large deductible to meet and you have an upcoming procedure, find out what the costs will be. If you need a surgical procedure, sometimes outpatient centers are much less costly than traditional large hospitals. Understand your options with your medication. If you take a 20 mg pill which is also available in 40 mg, it may be possible to order the larger pill and split it, saving yourself some money. Or sometimes, the reverse is true: the smaller pill is much less expensive than the larger one. You can take two pills instead of one. Discuss these possibilities with your health care providers and your pharmacists. Not all pills can be split or doubled. Find cheaper alternatives that provide similar results. Generic drugs may be a good fit (they also sometimes are not). Certain complementary practices like massage and acupuncture can substitute for other more expensive medications. Understand what a true emergency is and reserve emergency room visits for just those. Chest pain? Go to the ER. Sore throat on the weekend? This is a great reason for a trip to the nearest urgent care or convenience clinic. Utilize your employer’s health savings account to the maximum allowable, but make sure you use all of it. Add up your expected out of pocket medical costs from medication, physicians’ visits, contact lenses and glasses and dental and orthodontic care. Have your employer deduct the maximum allowable amount to get as close to your annual outlay as possible. At least, you will not be taxed on these amounts. In addition, many HSA’s are now issuing debit cards that are pre-loaded with your deducted money that can be used at pharmacies, doctors’ and dentists’ offices and hospitals and clinics. Don’t scrimp on what’s already free. Lots of screenings are now free with no copay: mammograms, PAP smears, blood sugar, cholesterol and blood pressure screenings. Ask your doctor or your health care plan administrator what is free and sign yourself up! The best way to control costs is to do your research and work in partnership with all of your health care providers and your insurance providers, too. Test Anxiety: What are all these Scans? X-Ray: The x-ray has been around for a long time. Other than exposing you to a bit of radiation, the x-ray procedure is non-invasive and should not produce much pain, other than perhaps having to get into a certain position and hold still. X-rays are typically used to show bones and therefore fractures. Chest x-rays, however, also can show diseases of the lungs. CT Scan (also known as CAT Scan) which stands for computed tomography works very much like an x-ray in terms of emitting beams of energy at the body. However the CT scan takes these “slices” of images while moving around the body. Then, using computer technology, these slices are assembled, creating a more detailed 3D image on a computer monitor. CT scans should be relatively painless, other than having to remain still. CT scans are quite effective in diagnosing serious injuries to the head, chest, spine and abdomen as well as discovering tumors. CT scans are also useful in diagnosing kidney stones. CT Scan with Contrast: There are times when a physician needs to examine a particular organ or tissue area and will order a CT scan with contrast. This test requires the patient to either ingest by mouth or be injected intravenously with a dye. As the dye moves through the tissue or organ, the radiologist can often see blockages and other issues. Sometimes these scans require that the patient fast ahead of time. Some patients have an allergy to the contrast dye. CT scans with contrast are also not suitable for patients with kidney disease. In addition, diabetics who take metformin or Glucophage have to stop taking the medication after the dye has been introduced for a few days. Some patients experience unpleasant side effects after taking in the contrast dye, including nausea, a metallic taste, headache and flushing. MRI: Magnetic Resonance Imaging, unlike X-rays and CT scans, utilizes radio waves and powerful magnets to create a three dimensional image. MRI scans take a little longer than CT scans. MRI’s are quite effective in diagnosing issues in soft tissue, joints, tendons, muscles and ligaments. MRI’s are often utilized to evaluate the spine, neck, brain, breast and abdomen. 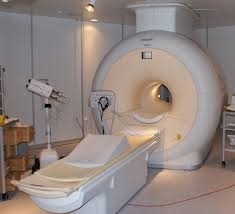 MRI’s are more enclosed than CT machines and may induce a type of claustrophobia. There are open MRI’s which can be utilized if your insurance covers that. In addition, sedatives or anti-anxiety medications may lessen the closed-in feeling. Patients should avoid eating or drinking prior to the exam, particularly any food or drink that contains caffeine. PET Scan: Positron Emission Tomography utilizes a radioactive substance that has been administered to the patient. The PET scan then looks for the particles emitted from the substance within the body. PET scans are used to look for the location of cancerous areas as well as to track any spread of cancer. A PET scan is also useful in cardiac care as well as in neurologic diagnoses. Patients need to drink water prior to a PET scan, but cannot eat for four hours prior to the scan. The radioactive substance will be administered through an intravenous line. PET scans take longer than both CT and MRI scans as you will have to remain relatively quiet and still after the IV starts, but before the scan can begin. The major discomforts of the PET scan include the administration of the IV, having to stay still and being in a closed machine. I want to talk about pain and I want to share with you a multiple choice test question someone once shared with me that really got my attention. A: Get it? It’s not difficult to see. There are multiple ways to talk, different language people can choose to use and even different pictures for the very same word. For one person vacation is a plane; another’s vacation is a tent. Talking about pain is no exception. Your pain comes on with agony like a lightning strike; mine makes my whole day sad. The way you experience your pain and the way I experience my pain are so very different that often times describing it on a scale of 1 to 10 is insufficient for conveying important information to people like healthcare providers. Talking about pain effectively requires a degree of confidence. One has to believe that the language of pain is truly understood. Patients and doctors, patients and family and even patients and other patients must feel secure that they are effectively communicating “pain” with one another. I like the article recently published in the New York Times entitled “How to Talk About Pain” (http://www.nytimes.com/2014/07/13/opinion/sunday/how-to-talk-about-pain.html?_r=0), because it presents intelligent insight on the subject of pain and communication. The author, Joanna Bourke, Professor of History at London’s Birkbeck College is also the author of “The Story of Pain: From Prayer to Painkillers.” If you are interested in exploring further, Bourke’s book is worth reading. What to Do When You Disagree With Your Doctor? Well, that’s an interesting question…What do you do? We go to our doctors because we trust that their intensive medical education and professional training puts them in the best position to help us with expert advice. That’s the way it should be and most of the time, truthfully, that’s the way it is. Something is changing, though, about the “thickness” of the line between what doctors know and understand and what patients know and feel. Perhaps it’s the internet: we all have so much access to technical, scientific and clinical information that once was for a professional audience only. Perhaps it is a reflection of trends in our society that motivate us to want to take control of decision making and our health and health care rather than hand that responsibility to our doctors. Perhaps, also, not agreeing with your doctor is just a reflection of the natural human nature and our ability to thoughtfully agree or disagree. Have you had an experience of disagreeing with your doctor? How did it make you feel? What did you do? This article: What to Do When You Disagree With Your Doctor, featured recently in U.S. News & World Report offers some good advice and interesting insight on the subject. From my perspective, as your doctor, I want to make sure my patients know that forming an open and communicative relationship with your doctor – indeed with your entire rehabilitation and health care team – is absolutely the best way to assure that if or when a treatment question, concern or disagreement does surface, all parties involved feel comfortable with communicating and working together. I don’t mind when a patient questions or disagrees with my medical advice. Do you have a question? Let’s talk about it! Describe myself? Here is what might I say: I am a woman. I am a spouse. I am a daughter of parents who need care. I love books and swimming. I am in pain. The pain in my back and neck keeps me from swimming sometimes. I have trouble sleeping. I am a grandmother. I am depressed about living with pain. I travel in the winter to places that are warm…I understand that I am so much more than my pain, yet it is a part of my life in every way, every day. Some of these things my friends and family know. No one, though, had really ever asked me to describe myself , not in this way, until my first meeting with my Michigan Spine and Pain Social Worker. The American Academy of Pain Management (AAPM) is a professional organization that provides accreditation, education and publishing opportunities. There is also a wealth of information on the AAPM web site that is easily accessible and user friendly for pain patients interested in learning more about the world of pain management and pain care. For more than 30 years the American Chronic Pain Association (ACPA) has offered support and education in pain management in the form of programs and peer to peer support groups for people living with pain, as well as to family, friends, and health care professionals working with people in pain. Simply put, the ACPA puts everyone on the same page. There are literately hundreds of ACPA support groups meeting in community centers, hospital conference rooms, schools and libraries in every city, everywhere. The ACPA’s unique take on living life to its fullest, even with pain, is important for me, and others that I have met, on my journeys with pain. As an added bonus, the information and tools on the ACPA web site are easy to access and have personally helped me live a higher quality of life. WE are so much more than our pain. WE are not alone. We might not ever know each other’s names, but let us know how you are doing by sending Dr. Bleiberg an email. He’ll make your note anonymous and allow us to share your pain journey to help others, too. Thanks, Cory, for asking me to share my story. Both doctors and patients are feeling the stress from the decreasing amount of minutes that physicians under pressure are able to spend in an exam room one-on-one with the patients they care for. Did you know that the average amount of time physicians spends with a patient is right around 8 minutes per patient, according to a 2013 study reported on in the New York Times? *Bring the name(s) and contact information for any doctor(s) you have seen in the last year. * Bring a list, with dosage information, for all medications you are taking. This goes for over the counter medicine, vitamins and supplements too. What are some of the possible causes for my symptoms? What kinds of tests might confirm a diagnosis you suspect? How can I best manage other health conditions I have? Are there any alternative therapies other than the approach that you’re suggesting? Is there educational material I can take home with me? What websites do you recommend visiting?